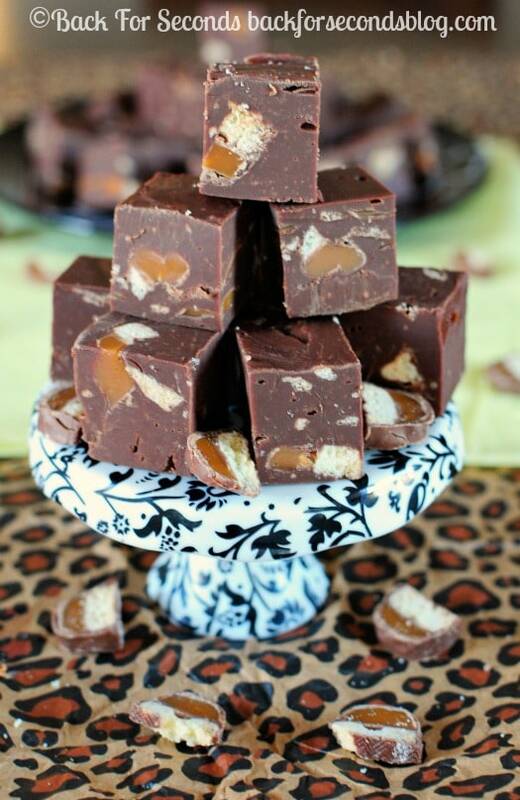 Try this Easy No Fail Gingerbread Twix Fudge this holiday season and “wow”everyone! The taste is impressive, but it’s so simple to make. You can’t mess up this recipe! I feel like fudge is one of those things you just have to have during the holidays. Traditional cooked fudge can be pretty temperamental though #aintnobodygottimeforthat. 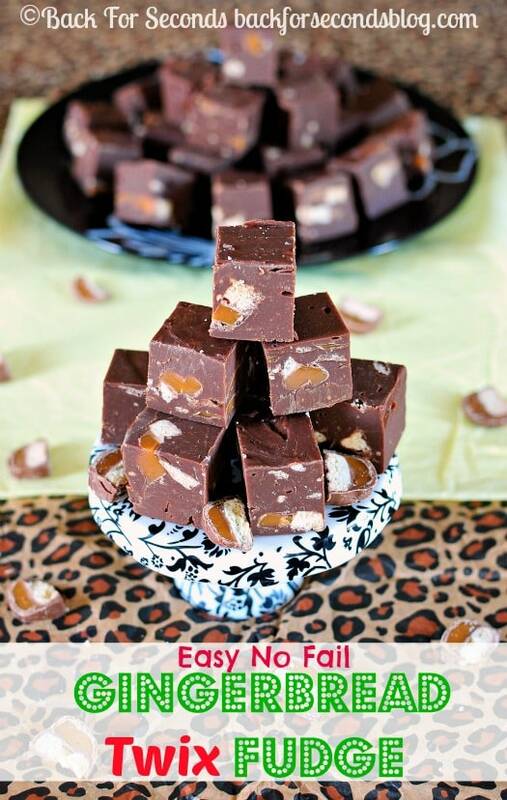 This is my absolute favorite fudge recipe because not only is it incredibly tasty, but it’s seriously foolproof. 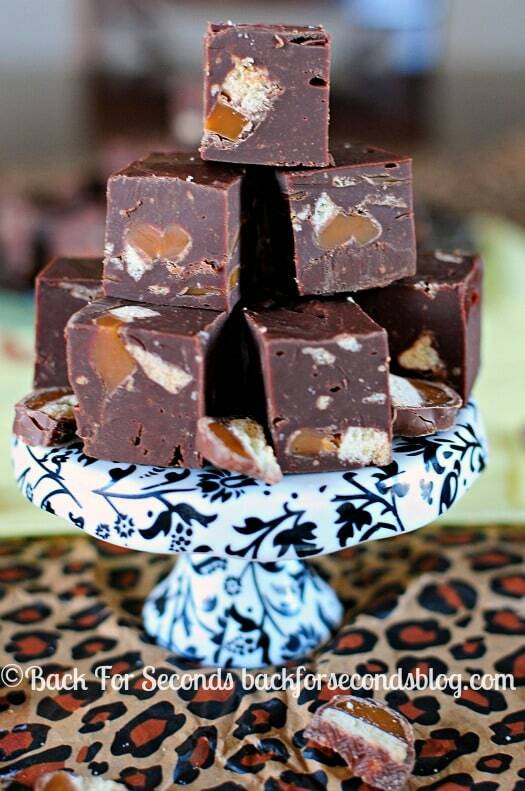 If you think you can’t make fudge – think again! I found a bag of the new Gingerbread Twix bars and just had to buy them. We love Twix (here is my homemade copycat version – only 4 ingredients!!). The gingerbread taste is subtle, but just enough to make you feel all Christmas-y 🙂 You can certainly use regular twix in this recipe instead, if you can’t find the gingerbread kind, it will be delicious! I need lots of easy holiday recipes like this one this year. 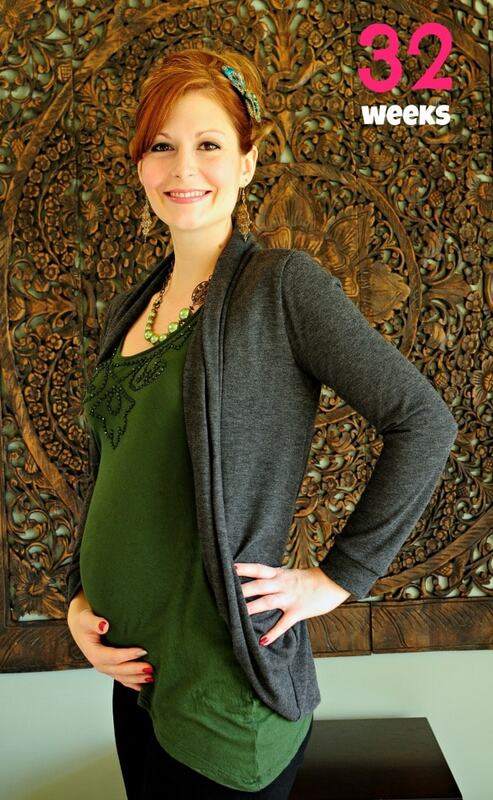 As you can see, I am 8 months pregnant and basically exhausted. One of my twins decided he can’t sleep through the night anymore, so I am up with him all the time. Plus life in general is busy, but I am so thankful and wouldn’t have it any other way. I am savoring these moments with my babies while they are little – it goes by WAY too fast!